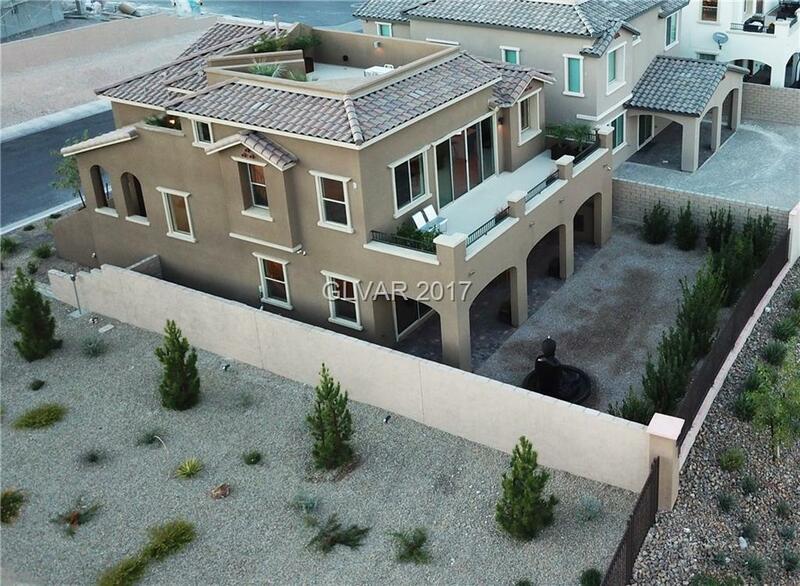 The property is located in a gated community in The Paseos, a West Summerlin village. The home is comprised of approximately 2,324 sqft. of interior living space and 628 sqft. of outdoor terrace and rooftop space. The split-level layout includes 3 bedrooms, 3.5 bathrooms (two master suites) and a 2-car garage. The home sits on a premium lot that is adjacent to an HOA easement (landscaped open space), enhancing the curb appeal and views. Directions: 215 And Charleston. West On Desert Foothills Then Left On Antelope Ridge. Left On Sarasota And Through The Gate.